Discover the Secrets of Everyday Heroes Who Teach You How To Gain the Love, Admiration and Respect of the Most Important People in Your Life! These are thought provoking questions to ask the Heroes in your life. 1. What do you want out of life in ten words or less? 2. What is the dream or vision that sets the course of your life? 3. How important is it to stay focused on your primary goal? 4. Do you follow your hunches and intuition? 5. What specific philosophy or philosophies guide your life and decisions? 6. What is your perspective on goodness, ethics and moral behavior? 7. What place does the power of prayer have in your life? 8. What principles are you willing to sacrifice your life for? 9. Are your goals consistent with your beliefs? 10. Are your actions consistent with your beliefs? 11. Is it valuable to have highly charged emotions about achieving your goals? 12. Is it useful to take a positive view of setbacks, misfortunes and mistakes? 14. Do you maintain your sense of humor in the face of serious problems? 15. Do you invest time into daydreaming about what your life will be like when you attain your goals? 16. Do you feel it is important to make positive statements about yourself…the type of person you are and the your goals? 17. Do you take time out of your day to feed your subconscious positive thoughts about you, your goals and dreams? 18. Do you have the courage to pursue new ideas? 19. Were you willing to experience discomfort in the pursuit of your dream? 20. Is it beneficial to make decisions quickly? 21. Are you slow to revise or reverse an important decision? 22. How were you able to overcome your doubts and fears? 23. Do you readily forgive those who upset, offend and oppose you? 24. Do you experience service to others as a source of joy? 25. When was the lowest point in your life and how did you change your life path to one of victory over the obstacles you were facing at that time? 26. Was there anyone who helped give you the willpower to change things in you life for the better? 27. How important was it to believe your financial dreams would eventually become reality? 28. Why is it valuable to know exactly how much money you want to have in your bank account and when? 29. What is your definition of heroism? 30. Did you ever create a secret hero in your mind that helped you deal with life’s difficulties? 31. What were the qualities and attributes of your secret hero or your real life heroes when you were growing up? 32. Who are the HEROES in your life now? 33. How important is it to have trusted friends or a master mind group to bounce your ideas off? 34. How do they make a positive difference in your life? 35. Who do you feel are the real heroes in our society today that are not getting the recognition and rewards they deserve? 36. Why are HEROES so important in the lives of young people? 37. What are the things parents can do that will help their children realize they too can be HEROES and make a positive impact on the lives of others? 38. How do people become heroes? 39. How does it feel to be recognized as an Internet HERO? 40. Why do you think you were selected for this unique honor? 41. How will being recognized as an Internet HERO change your life? 42. How are you making the world a better place? 43. Do you have any good solutions to the problems facing society, especially racism, child and spousal abuse and violence among young people? 44. If you had three wishes for your life and the world, that would instantly come true, what would they be? 45. 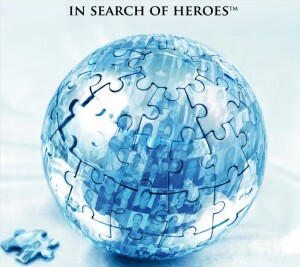 What do you think about the In Search Of Heroes Program and its impact on youth, parents and business people? Do You Have the Courage To Answer the Heroes’ Journey Questions? In Search of Heroes Story: Why Is Understanding Your Unique Heroes Journey So Important To Your Success In Tennis and Other Racket Sports?